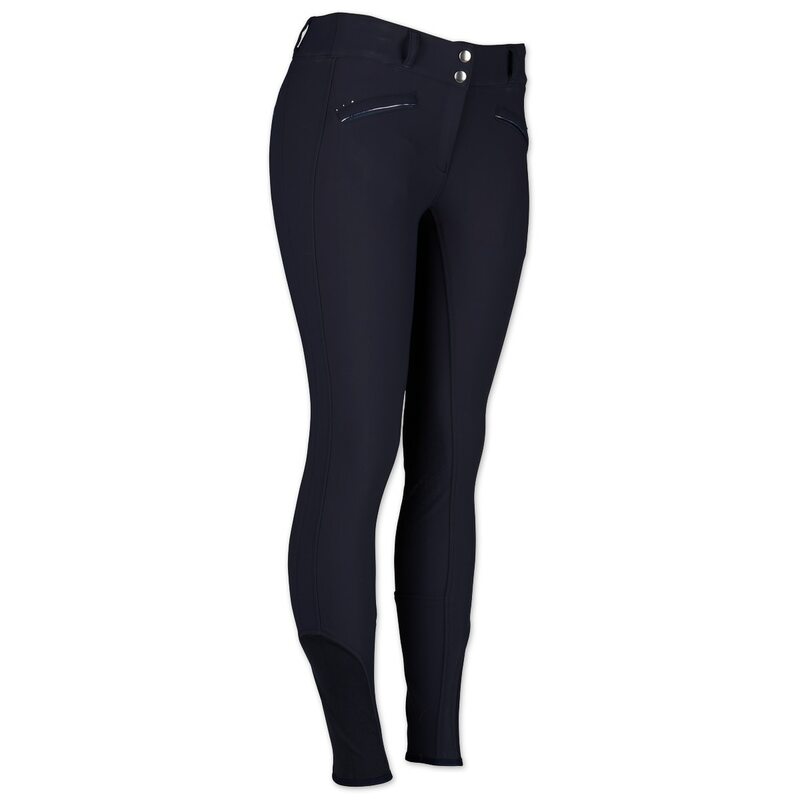 The Goode Rider Miracle Knee Patch Breech is truly a Miracle breech in a fabric with 24% spandex for incredible stretch, support and recovery. In a flattering mid rise fit. 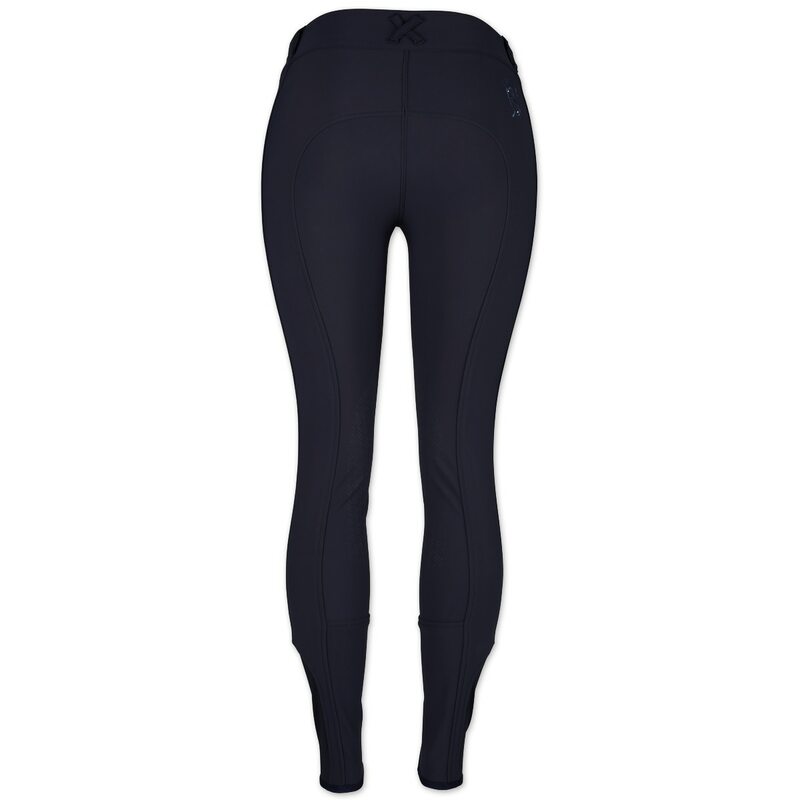 The back comes up higher for a secure and perfect feel. Beautiful seaming on side of leg for a flattering look. Welt zip pockets in front with tiny crystals at edge of pocket and Silver reflective silicone piping. Sock style bottom for a snug fit under your boots. Back has a cross belt loop. Final touch is an embroidered logo with subtle crystal embellishment. 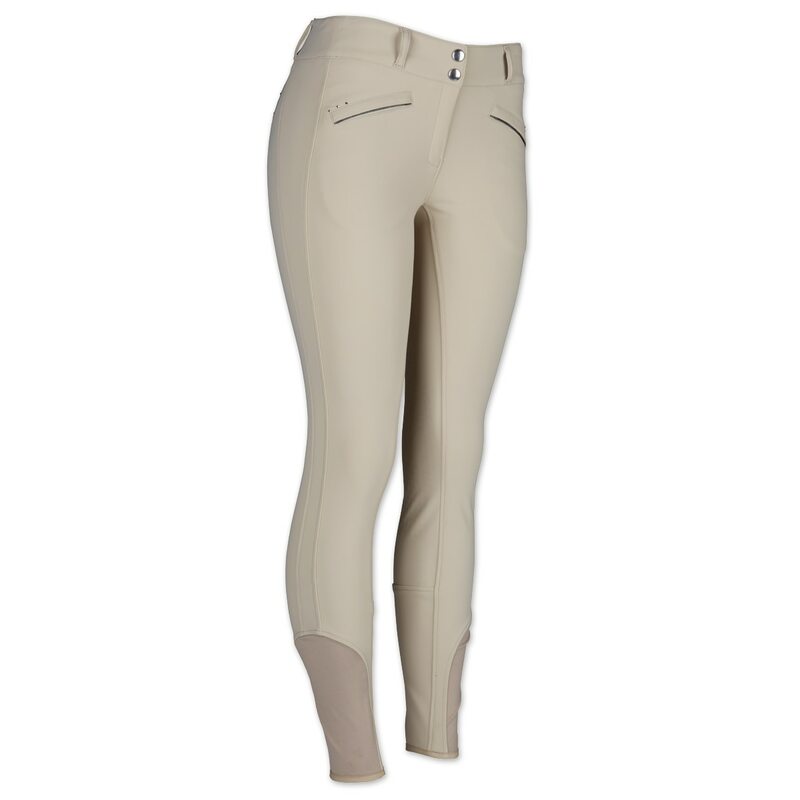 This is will be your new absolute favorite breech!